Can I just say that I Googled “lets” vs. “let’s” before I wrote that title? That one has always confused me! I’m pumped that it’s already Thursday. I need the weekend and I need it bad. Before we talk about poo…BLAST FROM THE PAST!!! Cutest. Puppy. Ever. That’s 8-week old Teton! Don’t you just wish they could stay puppies forever? All right…on to the product! Tell me, friends, have you ever been walking, hiking, or running with your dog, had to clean up their Number 2, and then thought to yourself, “I wish there were somewhere that I could put this bag o’ poo”? Well, I have. In fact, I thought long and hard about where to put The Little Blogger’s bags o’ poo when I started walking to work with him every day. On past excursions with your dog, some of you may have left the poo (shame on you), some may have picked it up with a baggie and tossed it in the bushes (bad! ), some may have carried the bag to the nearest trash can, and some may have tied the baggie around their dog’s leash. 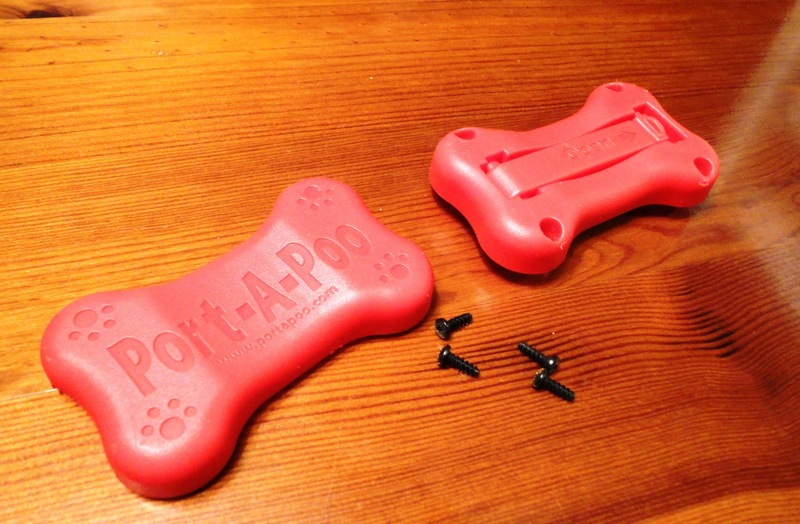 Well, I didn’t like any of those options for my daily 20-minute walks, so I did some research and found a little gadget called the Port-A-Poo. 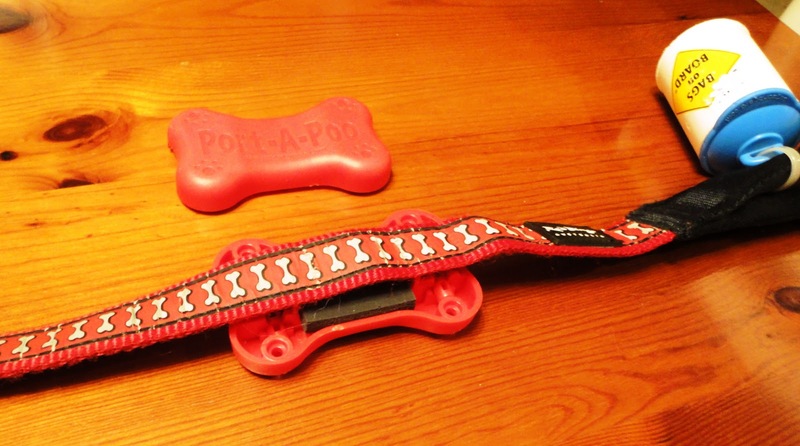 The Port-A-Poo is a plastic device that you attach to your leash. 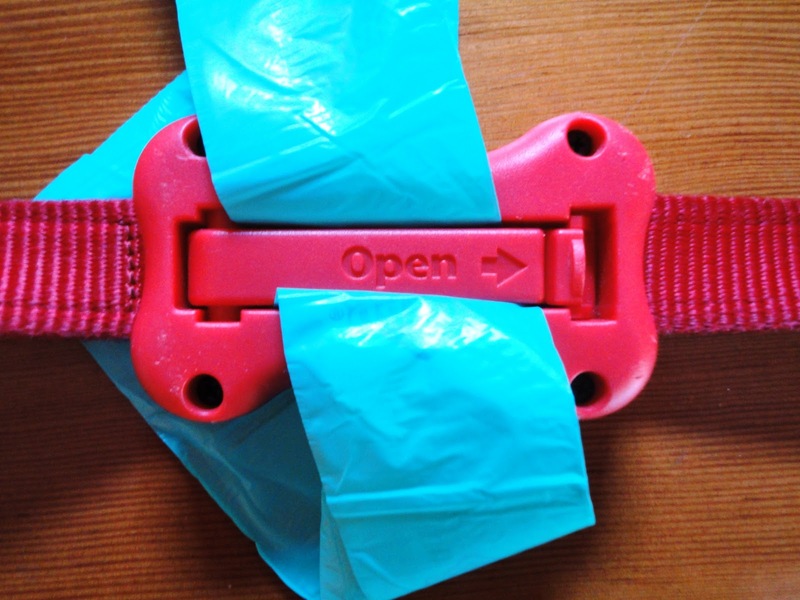 It has a lever on its bottom side that opens up to hold your poo bag securely in place while you walk, hike, or run. After your pooch has done his or her business, you click the Port-A-Poo open, lay the end of the bag over the PAP, and click it closed! Cool, right? Installation of the PAP is pretty easy, too. 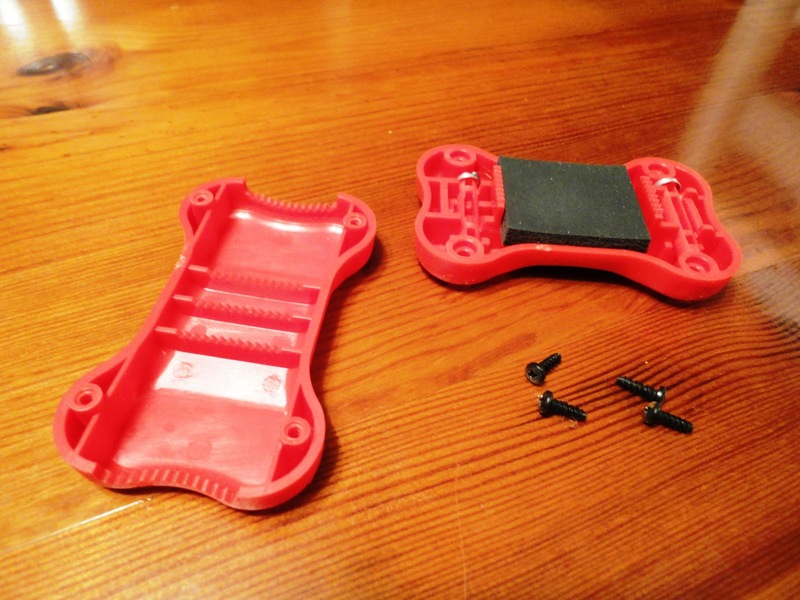 Port-A-Poo provides you with four small screws to secure the PAP once you’ve positioned it on your leash. 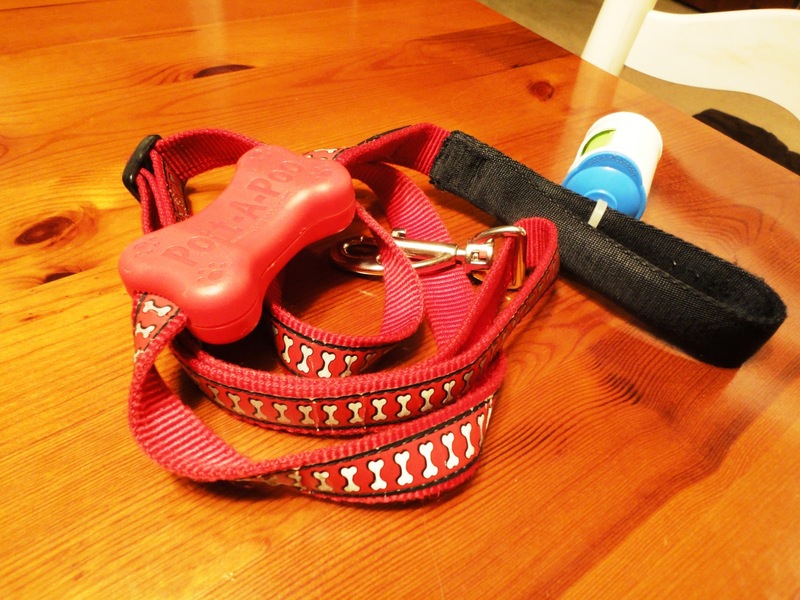 The PAP comes in two different sizes – one that fits leashes up to 1 inch and one for leashes up to 3/4 inch. The Little Blogger’s leash is closer to 1 inch in width so we went with the bigger size. On the Port-A-Poo website, both the large and small PAP go for $9.95. I didn’t pay that much. I used the nifty Google Shopping feature and found the larger PAP for just $3.00. Score! Honestly, I’ve had the Port-A-Poo on Teton’s leash for 4 months now and I’ve only used it a handful of times. And mind you, I have Teton with me all day, every day. 1. It’s innovative. Don’t you wish you would have thought of it? 3. It (hopefully) reminds people that part of being a dog owner is being responsible and picking up after your pooch. And that littering = bad. 1. It’s bulky. By that I mean that it’s relatively large in size and wide. 2. It can not be easily removed. To take the PAP off of your dog’s leash you have to use a screwdriver. 3. It gets in the way of the leash handle. 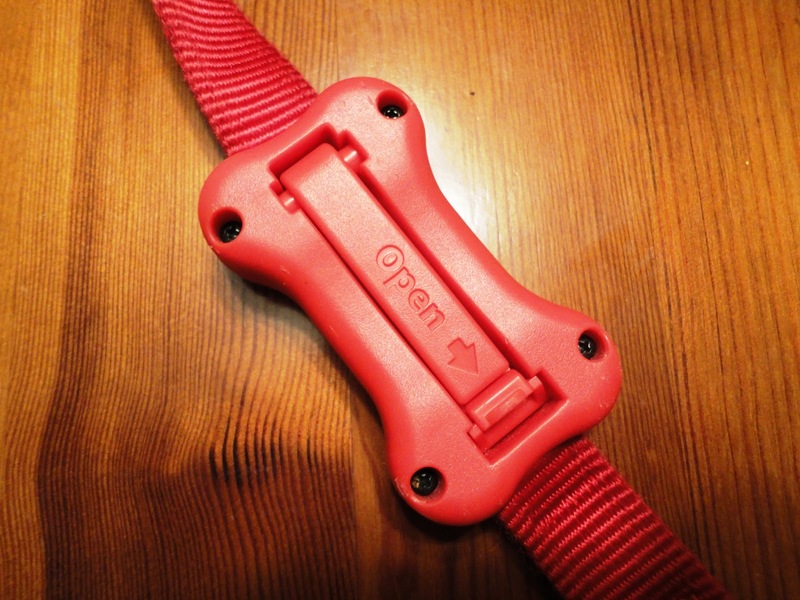 PAP recommends that you secure the PAP in close proximity to the leash handle so that putting a poo bag in it is more convenient because you don’t have to reach far down the leash. I like to grab Teton’s leash at various points depending on how close I want him to be or how much length I want him to have. The PAP frequently got in my way. 4. 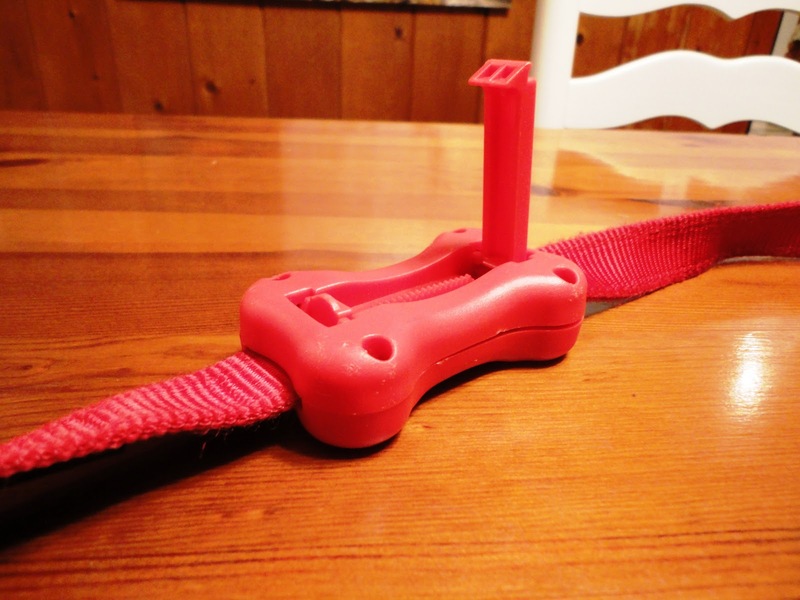 It won’t work for people who use rope leashes or any other non-flat leash because it is flat on its underside. 6. It’s fairly expensive for what it is. Unless, of course, you can find it for $3.00 like I did. Sigh. I wish I liked the Port-A-Poo more. The Port-A-Poo gets a four out of 10. The idea behind it is genius, but I’m not feelin’ the execution. In fact, I took the PAP off of The Little Blogger’s leash last night. I might use it again if the occasion calls for it, but for now, RIP Port-A-Poo. Have a great rest of your week! Next week we’ll be reviewing Bison Pizzle…fun! Wikipedia that ish if you’re curious…and stay tuned to Her Dog Blog! 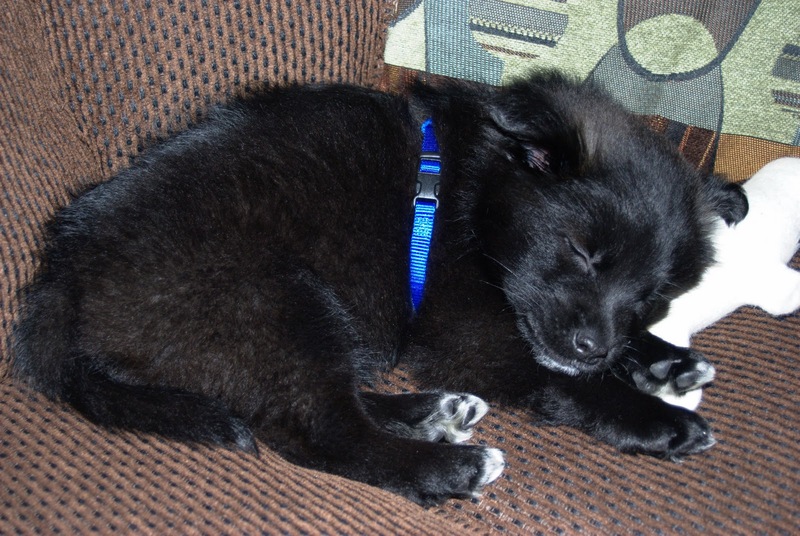 Posted on November 4, 2010 May 14, 2011 by Shannon	This entry was posted in This 'N' That. Bookmark the permalink. ← >Later, October! Hello, Bacon Forever!